Net Caster Solutions was founded in 2013 as an independent FileMaker consulting firm. We target the small business and nonprofit markets, seeking to leverage the rapid development and low cost of the FileMaker platform to the advantage of our clients. We believe in a personal relationship with our clients. We’ll sit down with you, face-to-face, and discuss your needs. Our purpose is to make your operation run better, more efficiently, and with less hassle. Mike Mitchell is Net Caster Solutions’s lead developer. He’s also our company’s founder, owner and president. Mike’s been developing solutions using FileMaker Pro for over 25 years in a wide variety of applications, including interfacing with other data systems (such as Oracle, SQL Server, and exports from dedicated client databases) as well as publishing FileMaker data to web sites. 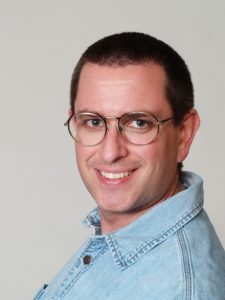 In addition to being a certified FileMaker developer for versions 12 through 17, Mike was the founder and chair of the Savannah River Site FileMaker Developer / User Group and served as Tier 3 technical support for FileMaker for that site, with over 11,000 users, until leaving the site in November 2017 to pursue Net Caster full time. Other passions of Mike’s include music (he plays keyboards for his church), his family (he’s married) and his Christian faith. Bridget Mitchell serves as an assistant to the president. The Net Caster logo is her creation, she was instrumental in designing our web site, and she’s been very valuable in beautifying our products. Passions include photography, cats, and Bible study. She’s also Mike’s conscience, since, well … she’s his wife. You might be wondering where we got the name “Net Caster” for the company. There is a bit of a story there. Net casting was something very common for the disciples, many of whom were fishermen. So, we wanted to pay homage to that tradition.